Daniel studied for ten years at The Royal Conservatory in The Hague, The Netherlands. 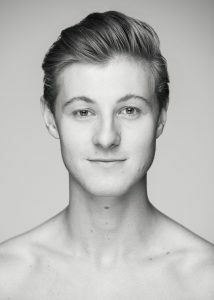 He danced with Nederlands Dans Theater 2 before joining Scapino Ballet in Rotterdam. With these two companies he had the opportunity to work with well-known choreographers such as Kylián, Lightfoot & León, Pite, Goecke, and others. Since joining Tulsa Ballet in 2015 he has danced leading roles in The Green Table (Jooss), Strictly Gershwin (Deane) and in Meðal (Pickett). Daniel has also had the opportunity to choreograph for Tulsa Ballet II.